Introducing the NEW pocket-sized metal cutting tool. An innovative, fundamental new approach to cutting metal under any conditions. 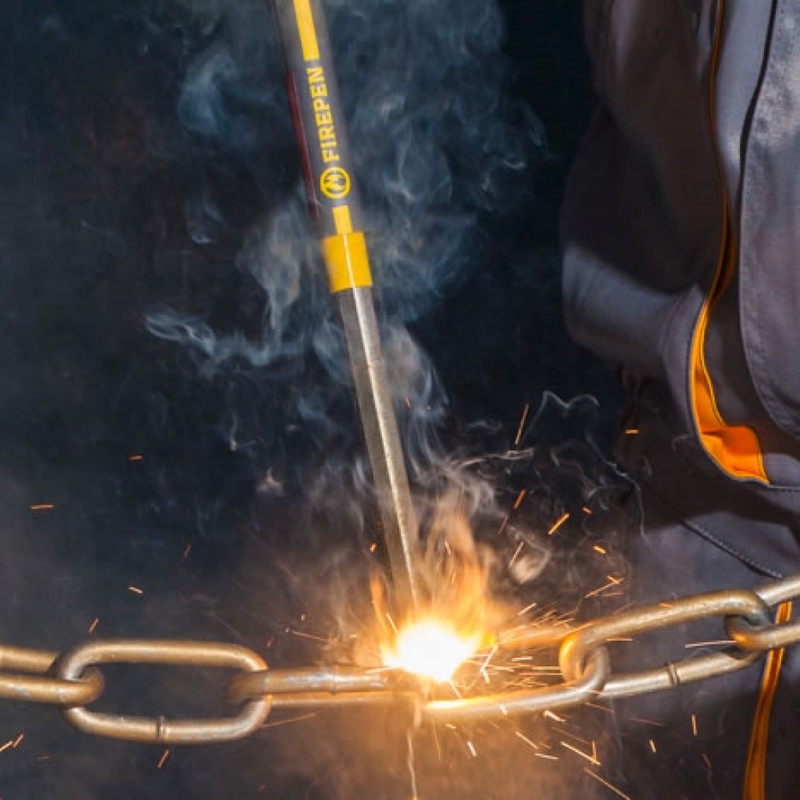 FIREPEN - is made from a unique chemical composition which makes it possible to cut through steel ropes, grills, pipes, fittings and other metal products in a matter of seconds! FIREPEN - Is intended to cut metal products at places where there is no electrical or gas source. It is completely autonomous and requires no source of energy, and even burns underwater. FIREPEN - Is irreplaceable under extreme conditions. FIREPEN - Is easy to use. Requiring no professional welding skills. Only the appropriate safety gear. FIREPEN - Is portable, ready for immediate use.